BK Racing visited bankruptcy court last Thursday to set terms of a possible sale. The sale of the team and or assets will be used to pay off debt accumulated by the NASCAR team from unpaid loans. Bids for the NASCAR team must be set by August 13th. A sale would take place August 20th. Then, the court will approve the sale on August 21st. In the case of any court disputes, the hearing will continue on August 23rd. The courts ruled out a $350,000 provision that would have been put aside for unpaid employee wages. As of now, there are two possible bids for the NASCAR team. Mike Beam of GMS Racing is expected to place a bid of $1.8 million. That bid from Beam might go up before the final hearing. Ironically, BK Racing owner Ron Devine is also expected to place a competing bid for the team. The team fields a NASCAR Xfinity Series race car. Spencer Gallagher picked up the first win for the team. However, the win remains but the playoff spot was revoked at Gallagher failed a drug test following the event. Gallagher has since gone through the Road to Recovery program after missing 7 weeks. He’s clear to race in the eyes of NASCAR. In Kentucky, he returned with a 20th place finish. GMS Racing has never run a Monster Energy NASCAR Cup Series event. If they have the winning bid for the team, they will be in control of the MENCS charter and hold a guaranteed starting position for every event in the season. In addition, they will have the equipment to take the step up the NASCAR ladder. The final say on the sale goes to NASCAR. The sanctioning body would have to approve any sale of the team and it’s charter. 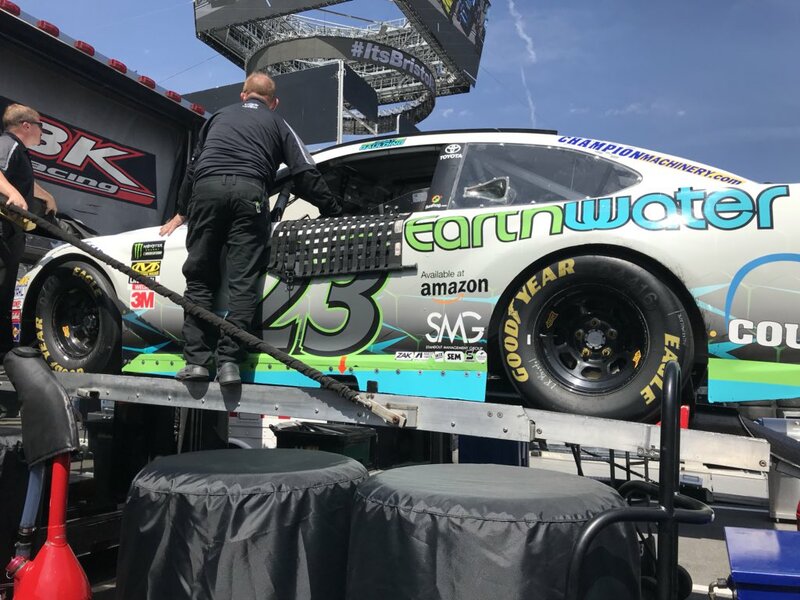 BK Racing is currently under control of a trustee which was put in place by the bankruptcy court back in March 2018. Matthew Smith was put in charge of recovering assets of the team to pay off the outstanding debt accumulated by the team. Team owner Ron Devine is no longer in control of the team. However, he is expected to place a bid on the team next month. Smith is the managing director of The Finley Group, a business management consultant company based in Charlotte, North Carolina. He has operated the full-time Monster Energy NASCAR Cup Series team since that date as team owner Ron Devine lost control of the operation. Union Bank & Trust initially stated that the NASCAR team owes them $8 million in unpaid loans. Union Bank & Trust placed fees and fines before submitting their final claim to the court. The total debt due to the bank is listed as $11.47 million. The IRS has submitted paperwork detailing the NASCAR team owes $2.53 million in unpaid taxes. Before the court hearing that number increased to $2,893,509. Additionally, the team owes at least 9 industry partners for past services. 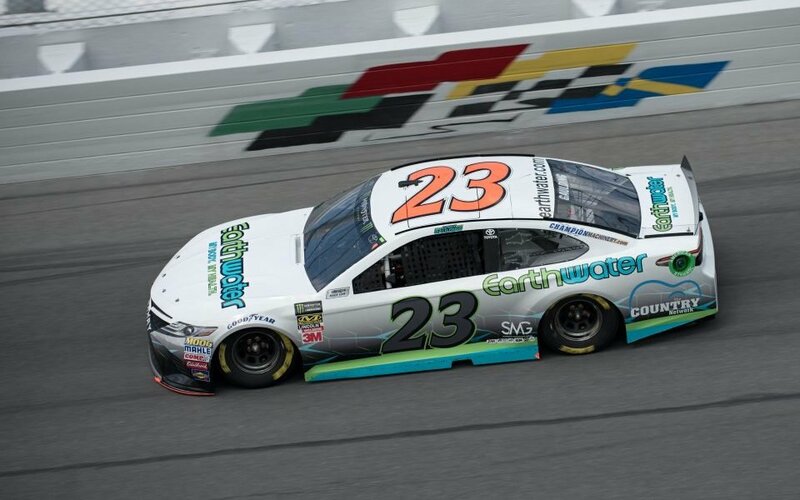 Click here to view a detailed list of BK Racing debt amounts owed to various organizations within the NASCAR industry. So what does it cost to operate a NASCAR team in the back portion of the field? In 2015, BK Racing brought in sponsorship of $1.055 million. In 2016, that revenue rose to $1.513 million. Due to the lack of sponsorship income, the team had a net lose of $10.1 million in 2015. That was followed by a lose of $8.45 million in 2016. In 2016, the team held two charters and fielded a 3rd car for special events. With 82 cars entered in 2016 the team brought in $7,822,596 million in race earnings. The prize money brought 78% of the total team revenue in 2016. In 2017, the team had several trailers seized as a result of unpaid taxes. The N.C. Department of Revenue collected 3 semi trucks, 4 haulers and a Corvette totaling $200k in assets. In 2018, the team has an average finish of 30.25 with driver Gray Gaulding running 17 of the 20 events. How does that compare to previous years race results? The team has never scored a top 5 finish in the Monster Energy NASCAR Cup Series. However, they have scored 3 top-10 runs over the seven year history of the team.